Tensions between India and Pakistan escalated this week after Pakistan reportedly shot down a pair of Indian Air Force (IAF) warplanes which flew into Pakistani-controlled territory in the contested province of Kashmir. Speaking at a tri-services press briefing on Thursday, IAF Air Vice Marshal RGK Kapoor confirmed that an air force MiG-21 Bison shot down a Pakistan Air Force F-16 on Wednesday, 27 February in a dogfight. The IAF also showed the remnants of a US-made AMRAAM missile found on the Indian side of the border in Kashmir which was said to have been fired by a Pakistani F-16 during an attack on Indian military bases. Pakistan had earlier denied that it had used F-16 aircraft on Wednesday, and maintained that no Pakistani Air Force aircraft had been hit. The AMRAAM is a medium-range, all-weather, day-night air-to-air missile used by Pakistan and manufactured by US defence giant Raytheon. The MiG-21 is a legacy fighter first introduced into the Soviet Air Force in 1959 and exported to dozens of countries around the world. India has upgraded versions of the plane, known as the MiG-21bis, which were produced until 1985, and which are expected to be retired in the early 2020s. At the briefing, Indian military officials warned that New Delhi remained prepared to continue targeting terror camps inside Pakistan unless Islamabad agreed to support its campaign against jihadists. The Indian Air Force noted that it was pleased with Pakistan's decision to return Indian Wing Commander Abhinandan Varthaman, and said that it looked forward to his safe return to India. The MiG-21bis pilot was captured by the Pakistani military on Wednesday and saved from an angry mob after Pakistan reported that it shot down two Indian warplanes operating in its airspace over Kashmir. India's Navy said it was put in a high state of readiness amid tensions between the two countries, with its surface, submarine and air components ready to 'deter and defeat' any 'misadventure' by Pakistan. The air force reported that it had "fairly credible evidence" that its earlier raids on a Jaish-e-Mohammed* camp led to "massive damage," but said it would be premature to estimate casualties. According to Indian armed forces figures, the past two days have seen some 35 ceasefire violations by the Pakistani side on the line of contact separating Indian and Pakistani forces in the contested province of Kashmir. Simmering tensions between India and Pakistan escalated on Tuesday after Indian Air Force fighters struck a camp belonging to the Jaish-e-Mohammed terrorist group on the Pakistani side of the border without Islamabad's permission. Tensions escalated Wednesday, when Pakistan reported that it had shot down two Indian jets on the Pakistani side of the border during a raid. The IAF confirmed having lost one of its jets. Islamabad accused New Delhi of violating its sovereignty with the air attacks, while the Indian side has charged Pakistan with refusing to tackle jihadist extremist groups on its territory. Earlier this month, dozens of Indian security personnel were killed in a bombing attack in contested Kashmir. The Jaish-e-Mohammed terror group took responsibility for the attack. India has requested that Pakistan extradite the group's leaders. On Wednesday, Indian Finance Minister Arun Jaitley suggested that his country's special forces should have the right to conduct operations against terrorist leaders in Pakistan, just as the US did in 2011 when it captured and killed al-Qaeda leader Osama Bin Laden. On Thursday, Prime Minister Narendra Modi urged Indians to "stand as a wall, as a rock" and unite as "the enemy seeks to destabilise India," without mentioning Pakistan by name. *An al-Qaeda affiliated terrorist group outlawed in Russia and many other countries. India-Pakistan escalation: "It's Pakistan that's facing the most scrutiny." Pakistan shot down two Indian jets on Wednesday, a spokesman for the Pakistan armed forces said, a day after Indian warplanes struck inside Pakistan for the first time since a war in 1971. Indian air force planes strayed into Pakistani airspace on Wednesday after Pakistan had carried out airstrikes in Indian-occupied Kashmir, said Major General Asif Ghafoor, a spokesman for the Pakistan armed forces. "For now, there’s still hope that tensions will die down." Despite the dueling accounts, one thing was certain: For the first time in almost half a century, Indian aircraft ventured beyond the Line of Control separating the two countries to hit targets on Pakistani soil. The act marked a potentially grave escalation of tensions between the nuclear-armed neighbors. In a statement, the Pakistani government said on Tuesday that it would “respond at the time and place of its choosing.” By the evening, there were reports that mortar fire had been exchanged between Indian and Pakistani troops across the disputed boundary line in Kashmir. The impetus for the airstrikes was a Feb. 14 terrorist attack that killed 40 members of India’s paramilitary police force in Kashmir. Jaish-e-Muhammad, an extremist militant group based in Pakistan, asserted responsibility for what was the deadliest single attack in the insurgency-ridden state in more than three decades. Though designated as a terrorist organization by the United States, the group is allowed to operate within Pakistan’s borders and is believed to receive support from elements within Pakistan’s military establishment, which has long cultivated Islamist proxies to advance its interests in the region. That’s hardly the only matter to consider, though. The Indian Air Force’s ability to venture deep into Pakistan is a symbolic blow to the Pakistani military, which exercises outsize influence over the country’s politics and commands significant support from the Pakistani public. The strike also laid down a new precedent: “This new template for Indian response is going to create a public clamor in India after every terror incident to punish Pakistan,” wrote Sushant Singh, deputy editor of the Indian Express. The attack in Kashmir was “clearly intended” to goad Modi into action with elections looming, wrote Christine Fair, an expert on South Asian politics at Georgetown University. “Make no mistake: the interest of Pakistan’s deep state is best served by a Modi victory, which is now uncertain,” she added. The following article by Ben Freeman, Director of the Foreign Influence Transparency Initiative at the Center for International Policy and author of The Foreign Policy Auction, is very helpful. But I disagree with his suggestions for dealing with the think tanks, which only create a cat-and-mouse game that takes too much time, personnel, and taxpayer money to police. In my view, the think tanks, a.k.a. policy institutes, are thinly-disguised lobbying firms but without having to register as lobbyists. It's past time to upgrade U.S. law in that regard. Wouldn't this be unfair to the policy institutes that aren't mouthpieces for factions in Congress in bed with foreign governments? What policy institutes would those be? This isn't just about the influence wielded by Middle Eastern governments. It's the entire U.S. legislative-White House nexus that has corrupted what were supposed to be academic institutions. I think the system is rotted to the core. From Ben Freeman writing for Tomdispatch, published February 21, Following the Foreign Policy Money Trail in Washington. Those who run Washington generally trust the inhabitants of think tanks of their political bent to provide the intellectual foundations upon which much of public policy is built. At least in some cases, however, that trust couldn’t be more deeply misplaced, since cornerstones of the ever-expanding think-tank universe turn out to be for sale. Every year foreign governments pour tens of millions of dollars into those very institutions and, though many think tanks are tax-exempt non-profits, such donations often turn out to be anything but charitable gifts. Foreign contributions generally come with critically important strings attached -- usually a favorable stance toward that country in whatever influential work the think tanks are doing. In other words, those experts you regularly read or see on [TV], whose scholarship and advice Washington’s politicians and other officials often use, are in some cases being paid, directly or indirectly, by the very countries on which they are offering advice and analysis. And here’s the catch: they can do so without ever having to tell you about it. On Tuesday, India bombed terrorist infrastructure in Kashmir after violating Pakistan's airspace. The tense bilateral relations have further escalated after February's terrorist attack, which killed 45 Indian paramilitary officers. Pakistan's army press service stated that its combat jets shot down two Indian Air Force aircraft that allegedly violated Pakistani airspace over Kashmir, ANI reported. The strikes were carried out from the Indian-controlled state of Jammu and Kashmir, while there has been no information on casualties as a result of the bombing so far. One Indian pilot has been captured, the Pakistani military added. According to AFP, citing sources and local media, Pakistan's fighter jets were forced back over the de facto border of the disputed territory after the violation of the airspace. New Delhi has yet to officially comment on the situation, while Reuters reported, citing an unnamed Indian local official that the Pakistani warplanes intruded over the Bimber Gali- Noushera sector at the Line of Control, a ceasefire line that serves as the de facto border in the disputed Kashmir region. The statement comes just a day after India carried out an aerial operation, targeting a camp of the Jaish-e-Mohammad terrorist group, which claimed responsibility for the deadly terrorist attack against the Indian security convoy on February 14. The camp was situated in the Pakistani-controlled part of the Kashmir region, while Islamabad accused New Delhi of violating its airspace. While India stressed that it conducted the raid due to "Pakistan's inability to take action to destroy terrorist infrastructure," the Pakistani National Security Council reportedly rejected the claims that the airstrike targeted terrorists. At the same time, Pakistan's Foreign Ministry stated that it considers the Indian move as an "act of aggression," which threatens regional security and vowed response. After February's terrorist attack, which killed 45 Indian paramilitary officers, the traditionally strained relations between India and Pakistan deteriorated even further as India blamed Pakistan for harboring the terrorists responsible for the attack and accused Islamabad of having a "direct hand" in the incident. Pakistan in turn, rejected the allegations of its involvement in the attack and said that this was India's strategy to divert international attention from alleged human rights violations in the Kashmir region. The tragic irony is that during the 2014 Ebola epidemic in West Africa many people refused to go to hospitals for treatment because they believed hospitals were the source of the disease. Many of these West Africans turned to 'black bag doctors' for treatment, which was going from the frying pan into the fire. The surge of confirmed cases in Katwa and Butembo – 307 and rising — is now the largest flare-up during the course of this outbreak, which has infected nearly 900 people since August. And WHO officials estimate that in about one-fifth of these recent cases, the person contracted Ebola at a health care facility. When Yao started visiting the clinics, it was pretty obvious how this was happening: Even government-run facilities such as large hospitals hadn't set up triage tents to separate possible Ebola patients from everyone else. "This disease is not well-known in this part of the country. It is the first time," Yao explains, even though Ebola has broken out in other parts of the DRC on multiple occasions. Even more problematic, says Yao, are the hundreds of unofficial private health facilities in this area. Some are large operations. In many other cases, says Yao, "it's just a house — a very old house." And often a crowded one at that. "In one bed putting two children." These facilities are also often short on supplies. "You can see people using several times the same gloves or the same equipment," including syringes, says Yao. Along with modern medicine, many facilities also offer traditional cures. (Indeed, health officials commonly refer to such facilities as "tradi-moderns.") And this too creates opportunities for infection, says Yao. That's because the traditional medicines are often diluted in water and put in a cup for the patient to drink. Then, he has noticed on his visits, the cup often isn't cleaned before it's passed on to the next patient. In response to all these findings, Congo's government and the WHO are trying to reach out to every one of these health facilities in Katwa and Butembo. In conjunction with a range of nonprofit aid organizations, they are training the staff on infection control and providing them with necessary protective equipment. But it's a daunting task. Just finding all the private clinics is difficult because there's no official list, says Yao. Officials know about only the ones reported by Ebola patients. Dr. Cimanuka Germain of International Medical Corps, which is helping with the effort, says private clinics sometimes resist the help. For instance, when he told the staff of one clinic that they should report suspected Ebola cases to a hotline instead of treating them, their response was: "This is not possible for us." That facility treats about 65 patients a day, says Germain. They didn't want to lose business. Then there's the facility where Germain spent days training nurses on how to set up and operate a triage tent. Two weeks ago he showed up for a surprise visit. "One of them was there without wearing gloves," Germain says, sighing incredulously. For Germain the takeaway was clear: "To change someone's behavior is not [a matter of] one day or two days — you need time." As I discussed years ago on this blog, the issue with hypodermic syringes is huge because often they are not sterilized after each use. WHO was supposed to ban multiple-use syringes but success in that regard has been patchy in the poorest regions of the world, as the NPR report underscores. And as the rest of the report makes clear, it's not only a matter of changing the behavior. Even with an understanding of the disease and good training for the staff, the clinic might not have access to the supplies they need or is unable to afford them. KINSHASA (Reuters) - Attackers set fire to an Ebola treatment center run by Medecins Sans Frontieres (MSF) in eastern Democratic Republic of Congo late on Sunday, forcing staff to evacuate patients, the charity said. There were no immediate details on the identity or motive of the people who torched the center in the district of Katwa, at the heart of the country’s worst outbreak of the deadly disease. But the World Health Organization has said aid workers face mistrust in some areas, fueled by false rumors about treatments and preference for traditional medicine. The outbreak has killed 546 people since July, according to the Congolese health ministry. Most of the cases since the start of the year have been in Katwa, which is close to the border with Uganda. Three volunteers for the Congolese Red Cross were attacked as they helped with the burial of an Ebola victim in eastern Congo in October. Two months later, political protesters ransacked a nearby Ebola isolation center. There is also the problem with keeping the experimental Ebola vaccine refrigerated in rural areas, where electricity can be spotty at best. Scientists have been working to develop a heat-resistant Ebola vaccine and with some encouraging success. See this February 25 report from Precision Vaccinations. And there is the increasing problem, all over the world, of the 'urban-rural' interface. As humans and their livestock move ever closer to remote areas, then diseases once confined to jungles and forests more readily spread to humans and domesticated animals. So what's the prognosis? The international aid community has been throwing everything they can at the outbreak including an experimental vaccine and doing so under difficult circumstances. The specter of a 'mutation' to an aerosolized form of Ebola hangs over all such outbreaks. The chances of the virus reassorting with one that's more easily transmitted are considered remote. But every day the outbreak spreads in areas with a lot of Mom&Pop pig and chicken farms (pigs being the perfect laboratory for viral reassortments) or markets that sell live livestock for slaughter and consumption (which even exist in U.S. cities along the Mexican-U.S. border) is another day the chances seem a little less remote. Is an aerosolized Ebola virus the famous Doomsday Virus? I noted during the 2009 Swine Flu pandemic that viruses tend to weaken as they pass through more and more hosts (or reassort more and more.) So on paper, at least, the silver lining to human megapopulations is that they afford some protection against a true doomsday virus. However, quite a large number of people would be killed very quickly by an aerosolized Ebola virus and combatting it would be a body blow to globalized travel and trade. This would set off a major global financial crisis and could even crash several governments. But the name of the survival game when up against a pandemic is the same as it's always been, ever since the rise of civilizations: Blockade. The counter-argument is that blockades on a large scale would crash civilization anyhow. But who's talking about large-scale? Could your own neighborhood or apartment building set up a blockade just long enough for the pandemic to pass over? And China's government demonstrated during the 2009 Swine Flu pandemic that it was possible for a government to create a modified borders blockade in combination with quarantine that could slow the inevitable exponential spread of a highly communicable lethal disease. And slow it just enough to race a vaccine into production and distribution among a key number of people. The 'secret' to the success of the plan was that most of the swine flu cases were headed toward China via the country's international airports. Surviving a doomsday virus would be doable -- not for everyone, but for enough to survive to keep civilization lurching along. It comes down to planning, robust civil-defense practices, and drill, drill, drill. That was how Rick Rescorla saved more than a thousand people from the attack on the World Trade Center on 9/11. He had drilled the employees in one firm on evacuation procedures until they could do it in their sleep -- and even then he hadn't stopped the drills. [shrugging] It's up to you. It always is. "A swarm of about 40 million locusts eats the same amount of food in one day as about 35,000 average people"
The desert locust, known as the world’s most dangerous migratory pest, poses a major threat to food security in the Middle East. The United Nation’s Food and Agriculture Organization (FAO) warned that an infestation of desert locusts in Sudan and Eritrea is rapidly spreading along both sides of the Red Sea towards Egypt and Saudi Arabia. According to an agency press release, heavy rains triggered two generations of breeding since October, leading to a substantial increase in the locust population. “The next three months will be critical in bringing the locust situation under control before the summer breeding starts,” FAO’s Senior Locust Forecasting Officer Keith Cressman said. Earlier this year, the insects evoked biblical times when they showed up at holy sites in Mecca, covering some areas in darkness and sparking a thunderstorm of hail and fire on social media. “These locusts are normally present in low numbers in the desert and don’t cause a big problem. But following a large rainfall they can quickly multiply, eventually forming hopper bands or swarms of adults, composed of billions of individual locusts,” Cressman told The Media Line. According to the FAO, locust swarms can extend outwards several hundred square miles, containing roughly 40-80 million adult locusts in each square mile. What makes these insects so dangerous is their threat to food security, says Cressman. “A desert locust adult can consume its own weight (roughly 2 grams) in food in a day. The added difficulty is they’re normally in the desert, so they’re eating the vegetation there. “Once they get into rain-fed crops on the edge of the desert, grown by poor farmers, they’re eating an entire livelihood, and then they move into the country and affect national food supplies,” he emphasized. Therefore, a swarm of about 40 million locusts eats the same amount of food in one day as about 35,000 average people. A swarm reaching the size of Paris would eat the same quantity of food in 24 hours as half the population of France, according to the FAO. The current situation has been designated an outbreak, the lowest level of the three classifications for locust invasions—the second being an upsurge and the most severe a plague. “Once they are adults and can fly, locusts become much more difficult to track, manage, and stop from flying into agricultural areas and subsequently decreasing food security,” Dr. Cease added. According to Cressman, each country has a national locust center, and the main strategy adopted to combat them is prevention—consisting of regular monitoring, early warning mechanism and forecasting. Jussie Smollett hate-crime hoax? 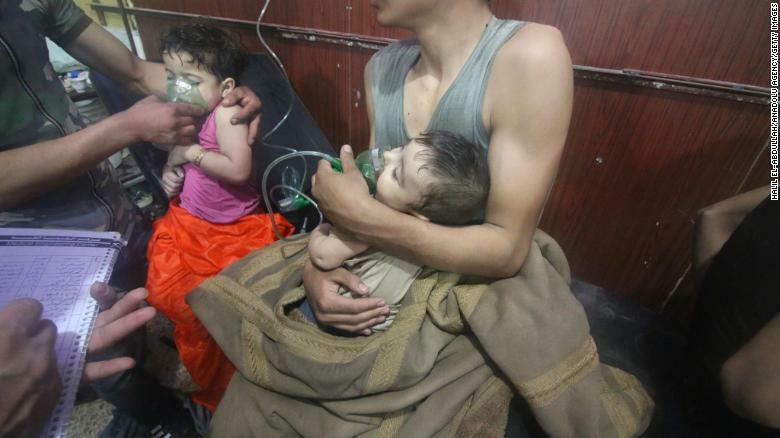 What about Douma poison gas hoax? BBC brass quickly sprang into executive action, stating unsurprisingly that Dalati's conclusion was just his opinion. The Beeb had strongly promoted the video of the hospital scene that the White Helmets had provided the news media, which showed civilians being treated for effects of a poison gas attack. Now a BBC producer was claiming he had proof that the poison gas attack at the hospital was a hoax. This was unacceptable to the British government. Mr Dalati still clings to his job but changed his Twitter account to "protected" status while the Russian government requests that he share the evidence he collected to back up his claim. To my knowledge Dalati's stunning announcement that a hoax had been perpetrated and the uproar that followed wasn't reported in the American mainstream media -- not on radio, television or in the press; the news was only available at a handful of sites on the internet. Fast forward to February 19. For three weeks there's been saturation media coverage in the U.S. of an alleged hate crime in Chicago, Illinois against a black, homosexual American TV actor named Jussie Smollett that on police investigation turned out to be a hoax staged by the actor himself; this, according to Chicago's Superintendent of Police Eddie Johnson during a press conference February 19 to announce Smollett had turned himself in to police to face the charge of disorderly conduct for filing a false police report. In the state of Illinois that's a Class 4 felony, which can carry a prison sentence of up to 3 years. It was some presser. 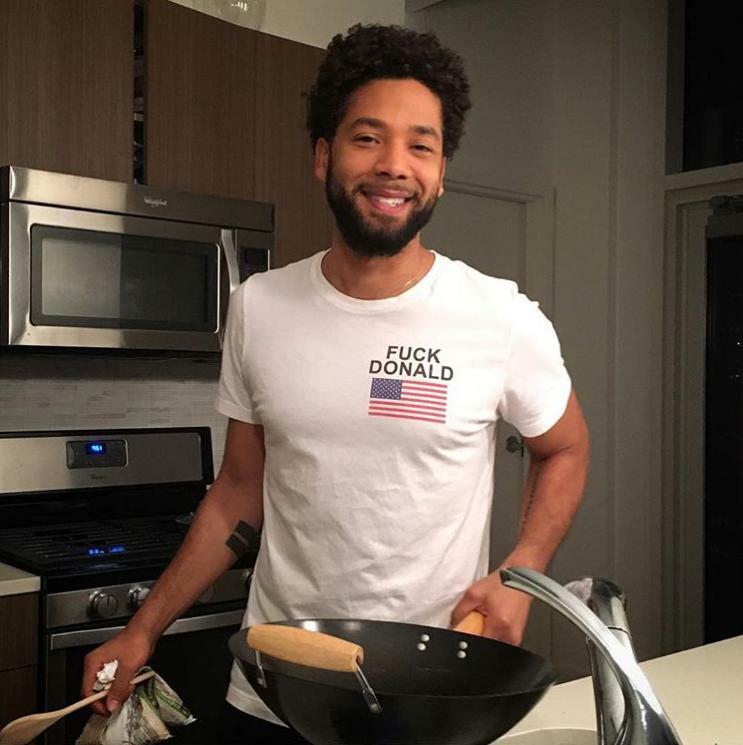 The superintendent, an African-American and lifelong Chicago resident, was furious that Smollett had dragged his city through the mud to carry out a vicious, self-serving hoax that mocked the seriousness of hate crimes and cost the Chicago police department -- and FBI -- buckets of money and many man hours to thoroughly investigate Smollett's complaint. The commissioner was also furious at America media commentators and celebrities for glorifying Smollet as a victim of homophobia and racial injustice as soon as the story broke. His remarks at the presser touched off a media uproar. America's President jumped into the uproar; taking to Twitter he asked Smollett, "What about MAGA?" Yes, well. The truth will out. Isn't it so, Mr Trump? The Trump administration is preparing a public argument for war on Iran. The Washington Times ...[exclusively reports that administration officials claim] that Iran is allied with al-Qaeda and thus could and should be attacked. At the recent conferences in Warsaw and Munich, the Trump administration failed to gain any European support for its anti-Iran strategy. Iraq has likewise rejected all U.S. attempts to position it against Iran. If the U.S. wants to attack Iran it will need to go it alone. Its 'allies' west of the Persian Gulf will give financial support but are not a serious military force. What they can do though is to ramp up terrorism against Iran. To support the claim in the above last sentence, Bernhard quotes M.K. Bhadrakumar, a widely respected defense/foreign policy analyst who served India for many years until his retirement as a Career Diplomat (as distinct from a diplomat appointed from outside a country's foreign service). [T]oday, Saudi Arabia and the UAE are Israel’s covert allies in West Asia. They are joined at the hips in the project to overthrow the Iranian regime. We may expect that the [Afghanistan-Pakistan region] could become a major theatre from where their covert operations would be launched with the help of Pakistan under the watch and protection of the US to destabilise Iran. Tehran has repeatedly alleged that the two Arab states are working in tandem with the US and Israel. Tehran's allegations about Saudi Arabia are old news; it's been open knowledge for about three years that S.A. is allied with Israel on several matters, including Iran. (Bhadrakumar surely knows this). As to the UAE, they don't always march in lockstep with S.A. but have given every indication that they do regarding Iran. Now is the Washington Times just passing along gossip? The paper is a known conduit for U.S. military views and propaganda. So the Times report can be taken as an indication that the Trump regime is ratcheting up its case for overt U.S. military action against Iran. Regarding Bernhard's observations about the Europeans (he's referring specifically to the west European members of NATO): That the Europeans don't support Trump's policy toward Iran doesn't mean they'd refuse to militarily support a U.S. military action against Iran. They've militarily supported the U.S. for far less reason in Syria, just as the U.S. reluctantly gave military support to the French-British military actions to overthrow the Qaddafi regime in Libya. So I think the European stance would need to be much stronger than now if they really want to distance themselves from U.S. policy toward Iran. They might support Trump's machinations against the current regime in Iran, but one has to make a distinction between Trump and NATO. Any direct U.S. military action against Iran would bring pressure on the most powerful European NATO regimes to go along, and I think the British regime, at least under Theresa May, would go along under any circumstance. This could precipitate the kind of showdown at the UN that we saw regarding the Bush regime's claim that Saddam Hussein had to be overthrown. But from what I see at this time, I'd say the Germans and French would want to avoid a showdown. Both governments have their eyes on Beijing and want as much as possible to present the Chinese with a united Western front. So it comes down to just how willing Trump is at this time to launch a regime-change operation against Tehran. It's possible this latest round of saber-rattling is actually Trump's reaction to the cold shoulder he got in Warsaw and Munich. He might be signaling to the Europeans that unless they give more support to his sanctions against Iran, he'll just have to drag them into open war against Iran. Whether or not this is the case, Trump is presiding over a fractured Republican party; if he wants to win reelection he'll have to mollify or at least 'string along' the large hawkish element in the party, which can't wait to make war on Iran. This big-picture view of the situation has ended up on the cutting-room floor in the 'Iran Movie' that hawkish Republicans (and Democrats) and their buddies in Saudia Arabia and Israel have produced. As to recent Iranian talks with the Taliban and Bernhard's speculation that Tehran could try peeling the Taliban away from Pakistani influence as a way to protect Iran's eastern flank from terrorist attacks -- it's to be remembered that the Taliban are Sunni fundamentalists who've remained allied with al Qaeda through thick and thin. So while they have cooperated with Iran on occasion, it's open to question how far cooperation would extend at present on either side. Iran has adopted a new ideology: it is not an Islamic or a Christian ideology but a new one that emerged in the last seven years of war. It is the “Ideology of Resistance”, an ideology that goes beyond religion. This new ideology imposed itself even on clerical Iran and on Hezbollah, who have abandoned any goal of exporting an Islamic Republic: instead, they support any population ready to stand against the destructive US hegemony over the world. For Iran, it is no longer a question of spreading Shiism or converting secular people, Sunni or Christians. The goal is for all to identify the real enemy and to stand against it. That is what the West’s intervention in the Middle East is creating. It has certainly succeeded in impoverishing the region: but it has also elicited pushback from a powerful front. This new front appears stronger and more effective than the forces unleashed by the hundreds of billions spent by the opposing coalition for the purpose of spreading destruction in order to ensure US dominance. That, too, American war hawks in Congress -- and President Trump -- have ignored.